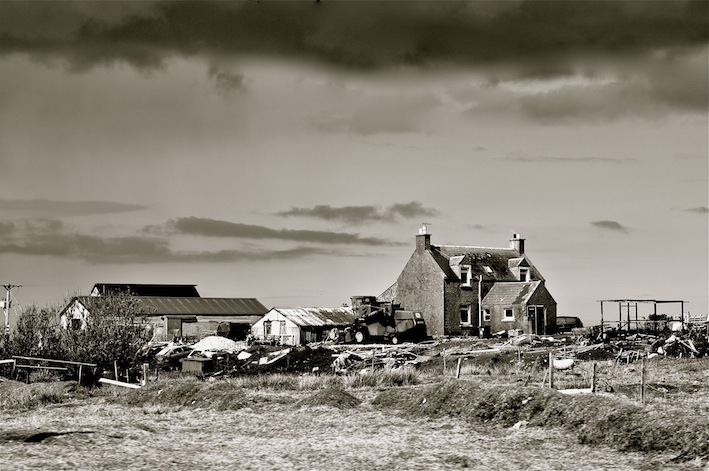 This photo is a follow up to my posting on ‘Whitehouse on South Uist’ really just to show you that not all the Whitehouse concrete buildings were a failure. This one survived and looks like it is a working farm, I bet somewhere there are the remains of a Blackhouse, the original home. Nice pic! When you read about the number of people who lived on the islands (and elsewhere on the west coast) in the 18th and 19th centuries, and you look at the landscape, you really wonder how it managed to support them (sadly in many years it didn’t). It must still be difficult making a living as a farmer up there.